Former Nortel Networks CEO Frank Dunn and two other executives are not guilty of manipulating financial reports in order to reap larger bonuses, a judge ruled today in a Toronto court room. In a case that has been running for more than a year, Dunn was prosecuted alongside his chief financial officer Douglas Beatty and corporate controller Michael Gollogly for fraud charges. It was alleged the trio had make misleading statements in Nortel’s books, financial statements, press releases and other documents in order to receive $12.8 million in bonuses. But Ontario Superior Court Judge Frank Marrocco ruled in favour of the defence, saying they used proper accounting practices. The ruling concludes a trial that has been one of Canada’s most publicized white collar crime cases in recent memory. A not guilty verdict may, rightly or wrongly, reinforce the perception that financial crime is not as rigorously enforced in Canada. One of the aspects often blamed for this is the patchwork of provincial securities regulators that divide up financial authority in Canada. This can cause for red tape to delay investigations and legal proceedings. The Nortel case that concluded today focused on events between 2002 and 2004. A poll finds that two-thirds of adults think white collar crime is commonplace. 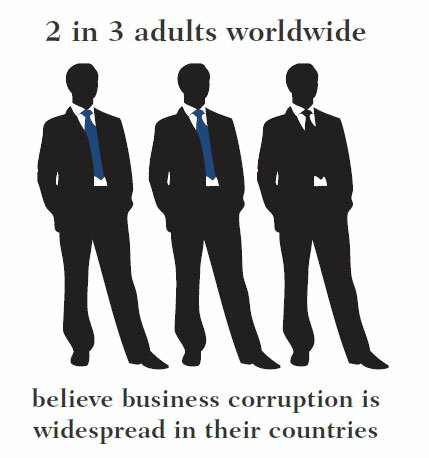 A May 2012 Gallup Poll showed that two-thirds of adults worldwide believe business corruption is widespread in their countries. A poll by PricewaterhouseCoopers Canada LLP in 2011 found that most types of fraud are being committed within the company by employees (56 per cent of all cases) and those employees are fired 77 per cent of the time, law enforcement is involved in 44 per cent of those cases, and civil action is taken in 40 per cent of incidents.